Illustration by Gilbert Holiday from the 1910 publication of “The Adventure of the Devil’s Foot” in The Strand magazine. Nineteenth- and twentieth-century botanical dictionaries lack any mention of radix pedis diaboli. Curious readers will need to turn instead to fiction to find it, and to the Sherlock Holmes stories of Sir Arthur Conan Doyle. Conan Doyle’s short story, “The Adventure of the Devil’s Foot,” was published in 1910, and pivots on this fictional poisonous plant. In the story, the plant—devil’s foot root—is little-known even in West Africa, its point of origin. Its transport to England is the work of the story’s lion-hunting physician, Dr. Leon Sternsdale. The case involves the mysterious injuries sustained by four siblings (two are fatal). En route to the story’s solve, Holmes detects a strange brown powder on the smoke-guard of a lamp at the scene. Soon after, he proposes that he and Watson undertake a medical experiment to determine the powder’s effects on the body. The always accommodating Watson assents. Holmes then lights the lamp, burning the powder with the window and door ajar for ventilation. The impact is immediate: Watson describes a “turmoil in his brains” and a mounting loss of control of both mind and body. 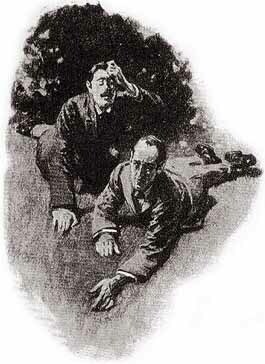 At the last minute, Watson marshals his reason and tackles Holmes, pushing him out of the room, where the pair of them lie breathless on the grass outside as the fumes and the poison recede. Holmes’ suspicions are confirmed: the powder is toxic, and he’s able to link the deaths to the devil’s foot root, with the help of Sternsdale. 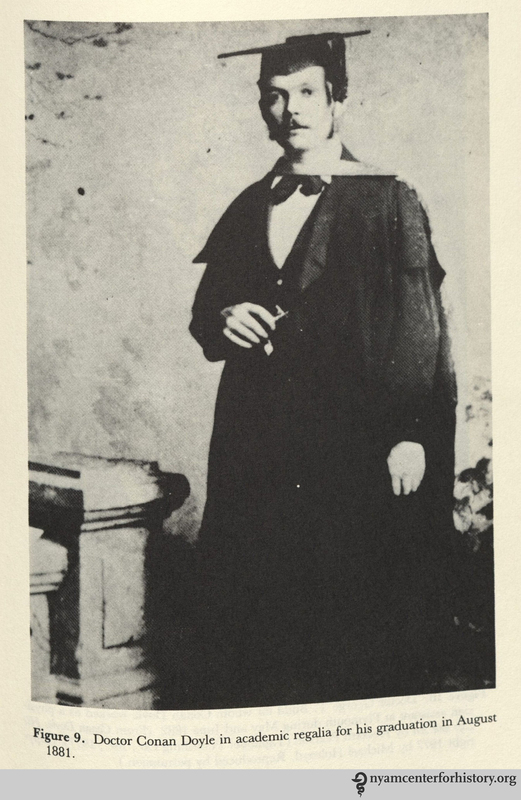 Doctor Conan Doyle in academic regalia for his graduation in August 1881. In Rodin and Key, Medical Casebook of Doctor Arthur Conan Doyle: From Practitioner to Sherlock Holmes and Beyond, 1984. 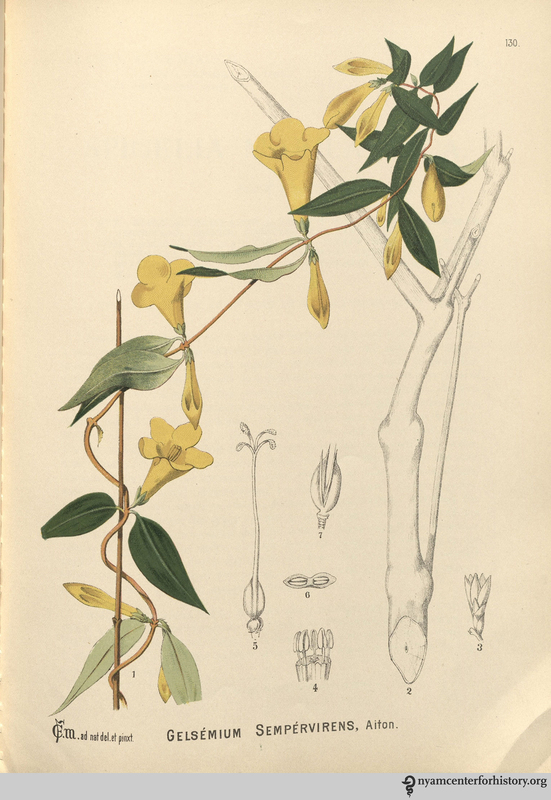 Gelsemium. In Millspaugh, American Medicinal Plants, 1887. 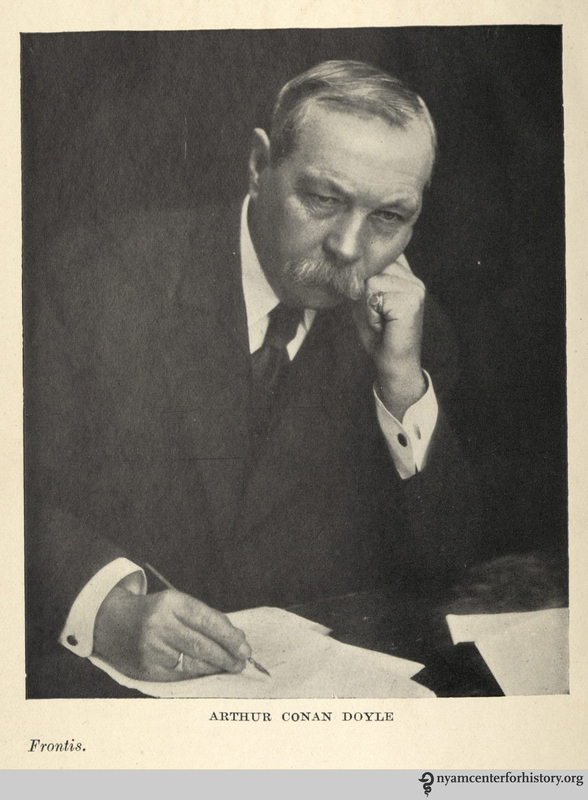 Arthur Conan Doyle. In his Memories and Adventures, 1930. The answer is not clear, but may suggest an early fascination with poisons, which decorate so many of Conan Doyle’s Holmes and Watson stories. As a medical student at the University of Edinburgh, Conan Doyle studied with several eminent toxicologists, including Sir Robert Christison and Sir Thomas Richard Fraser.7 Conan Doyle’s service as ship surgeon on a voyage to West Africa may also have familiarized him with poisons that inspired the “devil’s foot root” of the Holmes story. Rodin and Key suggest that not only was Conan Doyle interested in poisons, but he was also a risk-taker. They write that the experiment was a “reflection of the bravado, the sense of the dramatic, and the spirit of adventure already noted in many of his endeavors—experiences as a ship’s surgeon and involvements in war and sports.”8 Conan Doyle bestowed these qualities on his crackerjack gumshoe. In “Devil’s Foot,” Holmes admits that testing the poison is somewhat reckless—and yet we can’t imagine him behaving otherwise. Southsea. No. 1. 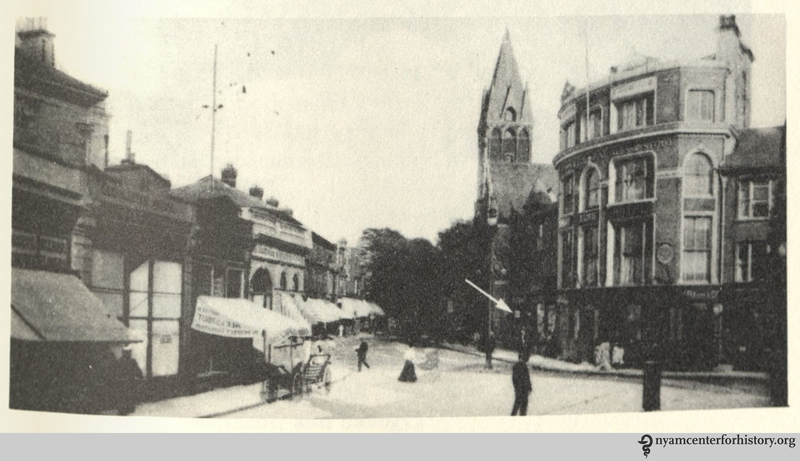 Bush Villas is the site of Doctor Arthur Conan Doyle’s practice, 1882-1890. He created Sherlock Holmes here. In Rodin and Key, Medical Casebook of Doctor Arthur Conan Doyle: From Practitioner to Sherlock Holmes and Beyond, 1984. We recommend commemorating Arthur Conan Doyle’s birthday, May 22, 1859, with a story or three from Round the red lamp: Being facts and fancies of medical life, with other medical short stories, available online, originally published in 1894 and reissued in 1992. 2. Alvin E. Rodin and Jack D. Key. Medical Casebook of Doctor Arthur Conan Doyle: From Practitioner to Sherlock Holmes and Beyond. Malabar, FL: Robert E. Krieger Publishing, 1984. p. 82. 3. D[oyle], A[rthur] C[onan]. “Gelseminum as Poison.” British Medical Journal 2: 483, 1879. 6. Rodin and Key, 82. 7. Billings, Harold. “The material medica of Sherlock Holmes.” Baker Street Journal 55: 2006. 37-44. 8. Rodin and Key, 82. This entry was posted in Collections, History of medicine and tagged Arthur Conan Doyle, gelseminum, gelsemium, poison, self experimentation, Sherlock Holmes, The Adventure of the Devil's Foot by nyamhistorymed. Bookmark the permalink.